ARE LINEAR SINGE MARKS PATHOGNOMONIC FOR LIGHTNING STRIKE IN CATTLE? 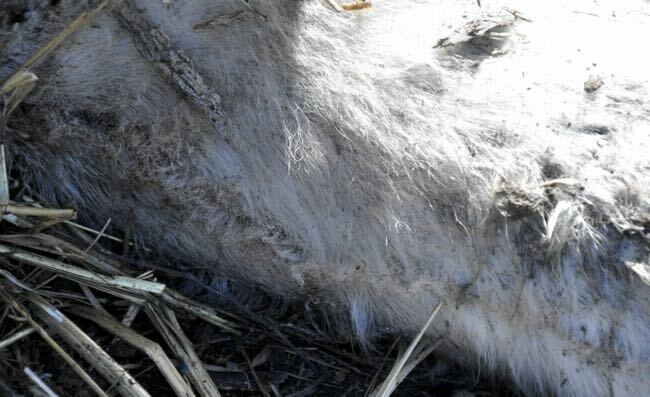 While death by lightning strike is difficult to prevent it is an important diagnosis in part because livestock may be insured against it, necessitating proof of cause of death, and in part to exclude of other causes of sudden death. It is a sporadic, seasonal cause of sudden death but occasionally causes serious losses. It has been reported on Flock and Herd previously (Suddes and Neef, 2007; Watt, 2012; and Shankar and Braddon, 2015). 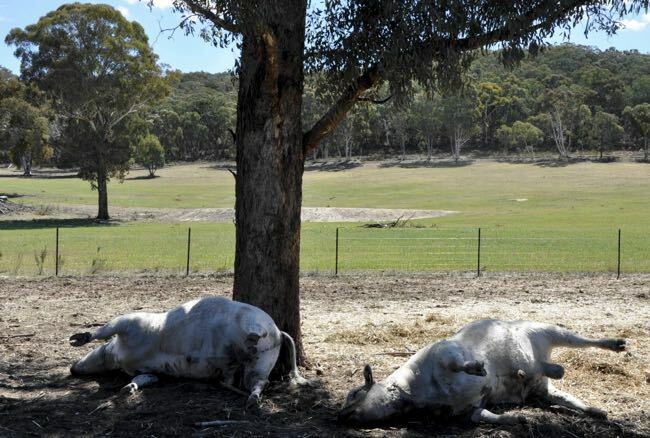 In this case lightning strike was diagnosed as the cause of death of two bulls as they had characteristic (pathognomonic) singe marks on the legs despite having been dead for approximately four days. 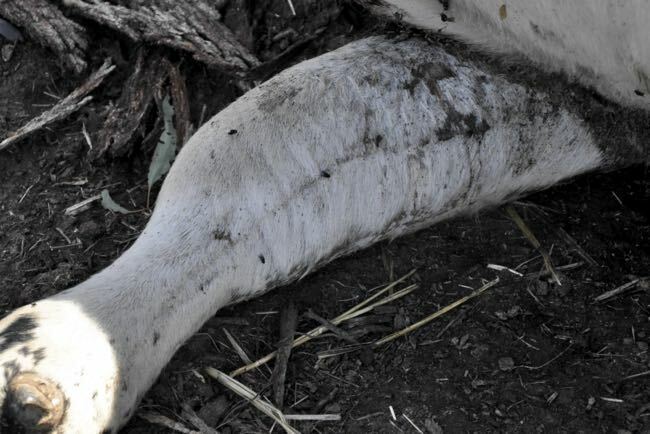 Two 15-month-old Speckle Park bulls were found dead under a tree in the Bathurst district on the 18 November 2017. They were examined on the 20 November 2017. The bulls appeared to have been dead about four days at this time. They and seven cohorts had been weaned and vaccinated for the second time with 5-in-1 clostridial vaccine in July 2017. They were then run on grazing oats and supplemented with oaten hay. Electrical storms were reported in the district around the time of death. The bulls were autolysed, emphysematous and fly struck at the time of examination and were not necropsied. Nonetheless they appeared to be well grown and in good body condition. 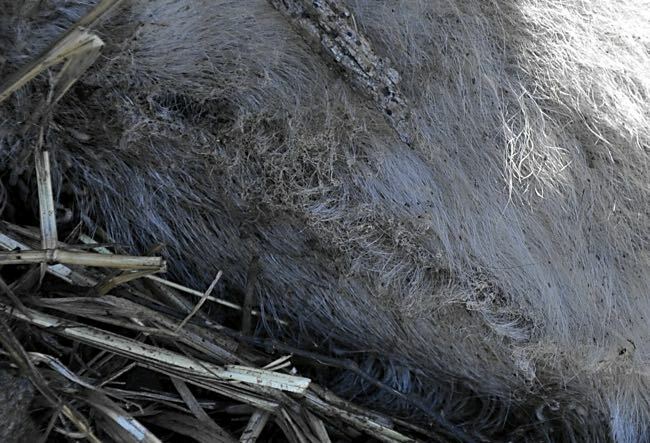 Both bulls had thin lines of singed hair running up a leg from the foot to the torso. In one bull this line ran on the anterior aspect of the right hind leg and in the other the line ran along the medial aspect of the right front leg. With some imagination a line of removed bark could be seen running down the southeast aspect of the trunk of the tree. Image 1. The two dead bulls under a tree. Note the bark removed in a line down the trunk of the tree. Animals are found dead in a cluster under a tree, along a fence or around metal objects such as self-feeders. Electrical storms have occurred in the region around the time of death. The animals have post mortem signs of lightning strike including linear singe or burn marks on the skin and hair, most commonly on the medial aspect of the legs. While diagnostic signs of lightning strike may be minimal, singe marks on the skin and/or damage to the environment is said to occur in about 90 percent of cases (Jenzen, 2017; Radostits et al, 2007). Singe marks are often linear, but can also be arboreal, (Parkinson et al, 2010). Other causes of sudden death such as nitrate poisoning, clostridial diseases and anthrax were considered but ruled out on history. Laboratory testing was not considered to be rewarding on these four-day old carcases. Lightning strike was diagnosed because the case met all the diagnostic criteria, including linear singe marks on the legs.